Smart Home, Smart Living – there are many ways to describe the benefits that come along with modern technique, thus offering more comfort and security. People with disabilities or the elderly can also take advantage from such a concept, being able to stay for longer years in their own home. 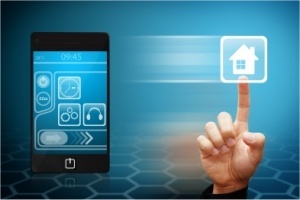 Smart Home is a broad concept that includes the techniques and systems applying to living spaces. The ultimate goal is to reduce the consumption of energy while increasing flexibility, security and living comfort. This can be achieved through networking, central control and the automation of housing technology and of electric appliances. Ambient Assisted Living is a special feature of the Smart Home concept. It concerns the methods, concepts, electronic systems, products and services which assist the elderly or people with disabilities in their daily lives. Assisted Living is one possible answer to such questions. People are growing older and wish – and should be able – to stay in their own home for as long as possible, while remaining autonomous and independent. This also concerns the elderly and people with disabilities. Until not so many years ago, Smart Home was still associated with science fiction. Prompted by a fast technical development and a great amount of research, specialists are predicting that the concepts of Smart Home and Ambient Assisted Living are rapidly gaining in poplar appeal. To this day, there are Smart Home systems that are able to control very precisely the heating, the lighting and electrical appliances, or even adjust how loud the doorbell should ring when the children are asleep. Or, if by mistake someone forgot to close a window, a simple text message can solve the problem, and the washing machine will start automatically when the electricity rates are the lowest. lighting that is adapted to the needs of the user. Smart Home features various aspects, which can be very interesting for Ambient Assisted Living, and therefore for people with disabilities and for the elderly. The field of home automation includes surveillance systems and control and optimization device. 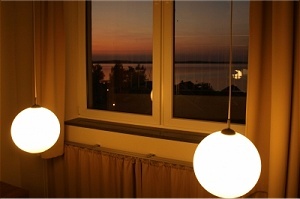 This also encompasses lighting, window blinds, heating or alarm installations, which can all be controlled centrally for example through a smartphone or a tablet-computer. In regards to appliance automation, it is then possible to program and to control the coffee machine, fridge, oven and stovetop. For people with disabilities, who are physically impaired and are homebound, these possibilities hold great promises for the future. This also applies to entertainment electronic devices, through which all medias such as music, films or photos can be uploaded from anywhere in the house. Medicine and care work can also benefit from such changes. Ambient Assisted Living products also include communication device for people with disabilities or the elderly, for example emergency call systems, fall sensors, motion detectors, or telemonitoring. Further developments go in the direction of medical prevention, diagnostic and therapies.